I have just seen an advert for a funeral company which offers 'putting to rest' services for 40 per cent less than the equivalent Po-oc (Do you see what I did there?) package. What a brilliant idea thinks I. Funerals cost an arm and a leg [And a torso as well, presumably. And a head and some other bits and bobs. - Ed. ], I am glad someone has realised that not everyone wants expensive Jag/Merc/Volvo/other pricey brand-based hearses and funeral cars. We have a local company here in polo mint city that not only has a fleet of brand new vehicles based on top of the range Jaguars, but has had the audacity to provide each with a private number plate loosely connected with the company name. Perhaps they would argue that it is simply a cheap way to advertise; I would suggest that they are raking in so much money, they don't know what to spend it on next. So hooray for a company that has realised that the public are being ripped off at a time when they are at their least able to cope with such matters. The company uses a converted people carrier [Now a dead people carrier. - Ed.] as the hearse and non-converted people carriers for the mourners. Both types of vehicle are probably a lot cheaper to buy and run than the coachbuilt Jags and Mercs favoured by the established funeral directors. It isn't the first time that cheap funerals have been offered. About 45 plus years ago I spent a lot of time in the small Scottish town of Inverary. Obviously, such a small town didn't warrant a full time funeral director, so the local joiner was entrusted with the task. It made some sense; if you are looking for a decent coffin, he's the best man for the job. What about funeral cars, I hear you ask. Well, Inverary is quite small - it is possible to walk from one end to the other in less than ten minutes - so cars weren't required. Apart from a hearse that is; the mourners couldn't be expected to cart the coffin from one end of the town to the other. Indeed they weren't; a special vehicle was provided for the task. The joiner's own van served the purpose. Luckily, he had considered his second occupation when buying his Morris Marina van. Instead of it being brightly coloured, it was painted a sober and sombre black. To fit its role as hearse the sides were modified by the fitment of two large glass panels. Most of the time this little runabout was carrying planks of wood around, but it was ready to be drafted in as the final mode of transport for any local corpse. And do you know what, Mr expensive funeral director with your privatised number plates advertising your business, he didn't even have his name printed anywhere on the van. Boom and, I think it goes without saying, tish! Were any famous or notorious people born on the 26th of January? Of course, here are some I’ve even heard of. Alexander Carlyle 1722 (Orfer. Born in Ecclefechan, you know. [Yeuch! I hope the midwife gave him a good wash. - Ed. ]), Douglas MacArthur 1880 (General. Him with the pipe. ), Harry Ricardo 1885 (Engineer. ), Maria von Trapp 1905 (Chanter. The Sound of Music one. ), Henry Cotton 1907 (Golfy bloke. ), Stéphane Grappelli 1908 (Fiddler. A clip? Here he is in 1990 with Blue Moon. ), Jimmy Van Heusen 1913 (Composer. Won a Noscar or two. Here’s the song that won him his first. Swinging on a Star. [Hang on... Is that the choice? Shot off into space to God knows where or risk the possibility of mutation into a mule or a pig? Not the best list of options. - Ed. ]), Nicolae Ceaușescu 1918 (The well-known Dictator. ), Bill Nicholson 1919 (Footy bloke. ), Michael Bentine 1922 (Comedian. ), Paul Newman 1925 (Saucy actor. ), Roger Vadim 1928 (Film director. ), Austin ‘Jack’ Warner 1943 (Discredited footy executive. ), Jacqueline du Pré 1945 (Cellist. How about another clip? Here she is getting a bit passionate. ), Eddie Van Halen 1955 (Geetarist. Another clip required methinks. Here’s Panama. ), Anita Baker 1958 (Chanter. Have a clip. Here’s Sweet Love. [Mmm... I love sweets too. - Ed. ]), Ellen DeGeneres 1958 (Comedian, television host, actress, writer and producer. In fact, a right old smarty boots. ), José Mourinho 1963 (Footy bloke. 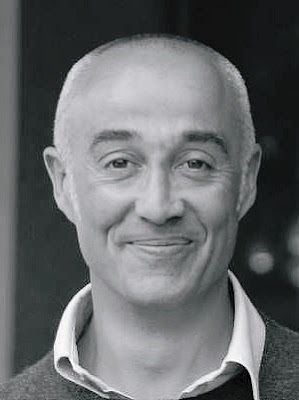 ), Andrew Ridgeley 1963 (Singer-songwriter and guitarist, it says here. Here’s a clip, but I’m not sure of his involvement. Wake me up... when it's finished.) and Brendan Rodgers 1973 (Footy bloke.). P. McCartney, R. Davies et al? How wonnnnderful that you gave us a link to a Jimmy Van Heusen song. He wrote so many fabbbbulous songs for some amaaaaazing films. Oh, I so remember that marrrvellous film with the lovvvvely Sammy-wammy Davis Jr, the soooooperb Deanie-weenie Martin, the heavvvenly Bingie-wingie Crosby and the most fantasssstic singer of them all Frankie-wankie Sinatra. It was called Robiny-wobiny and the 7 Hoodie-woodies and had a realllly sensaaaaational song in it... but I can’t remember its title. Something to do with Chicago, I think. Can you help? Fabian Schar took full advantage midway through the first half when he was allowed to run from the right touchline before curling a left-footed shot into the bottom corner. As fine a goal as it was, the Cardiff defending was poor. Schar's second was more straightforward as he found himself in the right spot to bundle in Matt Ritchie's corner, becoming the first Newcastle defender to score two goals in a game since Philippe Albert in 1996. Ayoze Perez added gloss in injury time from Salomon Rondon's low cross as Newcastle scored three goals for the first time in the league this season. Aston Villa came from two goals down to salvage a point. The Tigers seized the initiative at Villa Park when Jarrod Bowen scored with a left-foot shot before Evandro acrobatically volleyed home Kamil Grosicki's cross. James Chester reduced the deficit by heading in a free-kick, the home side's only effort on target before the break. Tammy Abraham then brought Villa level when he scored with a composed low finish after his initial effort was blocked. Jordan Hugill's penalty rescued a point for Middlesbrough. The Lions looked set for the win of the when Lee Gregory robbed Adam Clayton and launched a quick break which gave Jed Wallace time to pick his spot. Gregory also forced Boro goalkeeper Darren Randolph to save smartly, while Middlesbrough struggled to test the visitors. But when Daniel Ayala went down in a crowded goalmouth, Hugill kept his cool from the penalty spot. Kamohelo Mokotjo scored twice as Brentford won an entertaining game at Rotherham. Mokotjo's crisp second-minute opener was cancelled out by Jon Taylor's unstoppable finish from the edge of the box, before Semi Ajayi's glaring miss prevented Rotherham from going in at half-time in front. The Bees regained the lead on 53 minutes through Said Benrahma, but Rotherham levelled again when Brentford's Ezri Konsa touched a free-kick into his own net. However, Mokotjo responded almost immediately from Rico Henry's cut-back before Neal Maupay sealed the win. Sido Jombati headed a 57th-minute winner as Wycombe triumphed over Bristol Rovers at the Memorial Stadium. The centre-back leapt highest to meet a right-wing corner from Joe Jacobson, earning the visitors a deserved success. Alex Rodman went closest to an equaliser for Rovers, but saw his header from an 80th-minute corner blocked on the line by Wycombe midfielder Curtis Thompson. The visitors were quicker to the ball as the match progressed and the hosts could have no complaints. Wycombe's Ryan Allsop made the only save of note in a poor first half, diving to his left on the half-hour mark to palm Rodman's shot around the post. Rodman had a shot blocked from the resulting corner, but it was one of few moments to warm the home crowd. Wycombe's best first-half effort came on seven minutes from Nick Freeman, whose low shot bounced back off goalkeeper Jack Bonham with no team-mate on hand to capitalise. Okay, Grambler, what have you come up with this week? Not particularly whopping. I’m not happy about The Grambler picking Motherwell to win a game. Kiss of death? That Rotherham Leeds one could also go t*ts up. Why? Local derby. A draw is probably more likely. Teaser time. Yay! Last week I asked you which English team play at the Bloomfield Road stadium. The answer is, of course, Blackpool F.C. Quite an apt question given my whereabouts a couple of weekends ago. One for this week? Here’s a World Cup question. In the 1962 competition which player became the first ever to win all three trophies available to an outfield player: player of the tournament, leading goalscorer and cup winner’s medal? A good un to start a discussion down the pub. And finally Cyril? And finally, Esther, I am indebted to a Mr J. Mourinho aka The Special One who, thanks to the wonderful Swedemason, provides this week’s finishing piece. Heaven knows he's miserable now.